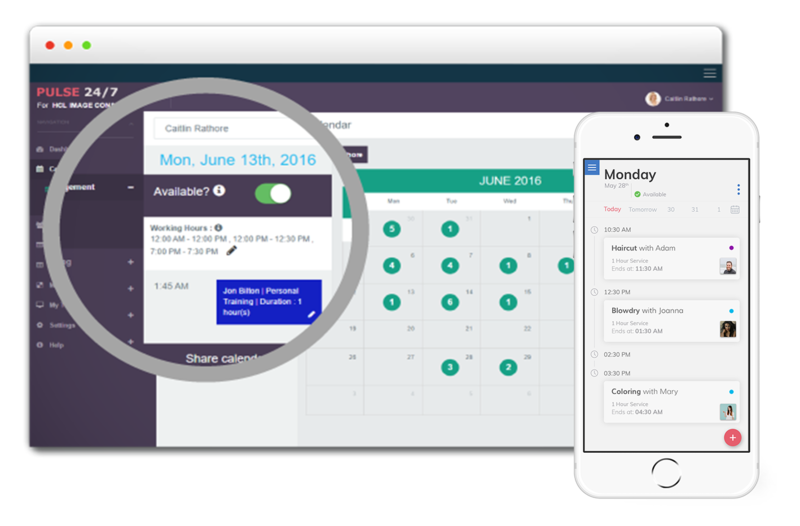 Manage cancellation rules for clients and solve last minute "no-shows". Increase revenue by 300%. Share makeovers instantly with the most powerful online makeup booking app & web software, & get booked on demand. Manage the company and your staff’s performance by reading customer reviews and knowing who your valuable customers are. Take control of your brand and reputation with Feedback Management. Capture and import customer's contact information for faster appointment setting. Easy to use mobile app allows you or your stylists to connect with customers faster. Why not try out the #1 makeup and beauty booking and marketing app & web software today?